Guess what?! Torin loves peanut butter and isn’t allergic like his big brother Gabe! This is a HUGE deal in our house. Nut allergies are a thing I wouldn’t wish on anyone. I was really nervous about having a second nut allergic baby since it frequently runs in families. Luckily, Torin seems to have dodged that bullet. He drinks almond milk, macadamia milk, coconut milk, and he eats peanut butter, cashew butter, and cashew cream sauces all the time! We’re super careful about cross-contamination issues for Gabe. We’ve been very fortunate in that he doesn’t seem to be affected by airborne particulate the way others can be. The number of children affected by food allergies right now is staggering. If you’d like to learn more, please visit the Food Allergy and Research Education website. They are a wonderful resource and we’re huge supporters of all the work they do. Back to breakfast! 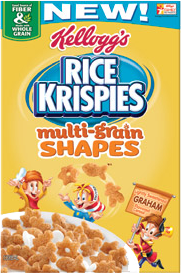 Have you tried Rice Krispy Multigrain Shapes? I usually give Torin a handful of cereal to tide him over while I prep the rest of his breakfast. 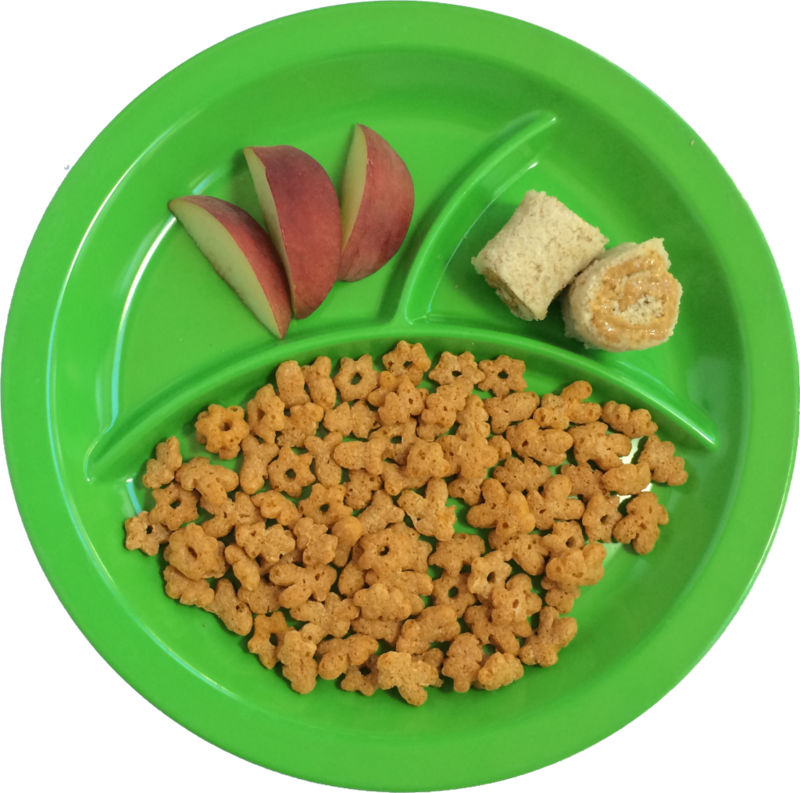 I thought these would be perfect – they’re multigrain, they’re bigger and easier for him to grasp than regular Rice Krispies, and they’re made into adorable little shapes. They claim to only have two more grams of sugar than regular Rice Krispies, but they taste really sweet to me. Sweeter than I feel comfortable feeding to my little guy on a regular basis. I probably won’t buy these again. What’s your favorite breakfast cereal? Bonus points if it’s organic or at least whole grain! Your site is a DELIGHT! Your plate looks great, too! Thanks Jennifer! I’m loving your site and VeganMofo this year!